I wanted to try the Fenty Pro Filt'r Soft Matte Foundation for the longest time since I love my full coverage foundation and since I picked up the Kat Von D Lock It Foundation last year in June. I thought it would be good to compare the two. This foundation comes in a frosted glass bottle and has a pump applicator. It is available in 40 shades and claims to have a buildable medium to full coverage which gives your skin a smooth, pore diffused and shine-free finish. It has an oil-free formula and has climate adaptive technology that is humidity resistant, sweatproof and won't clog pores. Fenty Beauty is available in Harvey Nichols in the Uk, I picked mine up from Manchester and the makeup artist who coloured matched me was super lovely and I walked away with the shade 180 which is for light skin tones with warm undertones. Being Asian I do have more of a yellow/olive undertone and I much prefer my foundation that are not too orange. 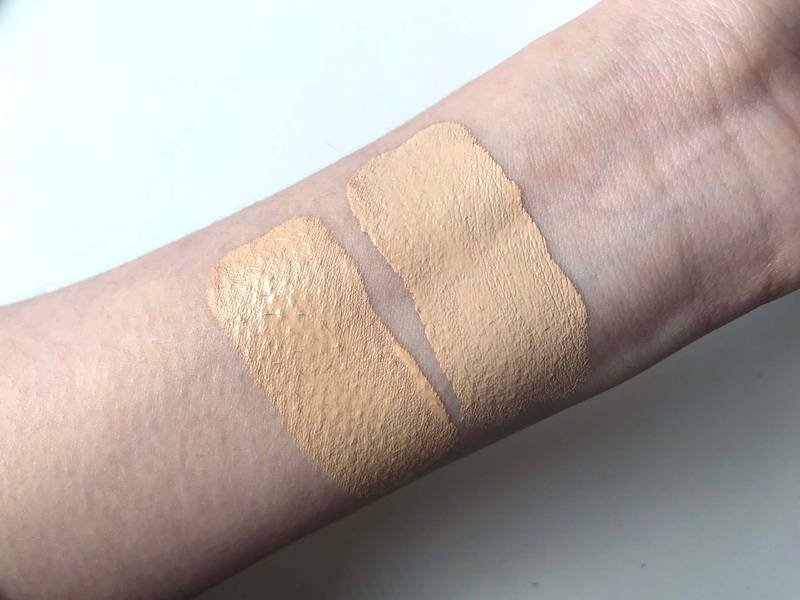 The foundation is more of a liquidy formula since as it says it is buildable, I use two pumps on a day to day basis and an extra little tiny pump to go over my blemishes such as hyperpigmentation and dark marks. When I apply my foundation I use one pump first and then another since the foundation dries quite fast. I do lightly powder especially on my t-zone since I have oily skin but if you have dry skin you probably don't need to because of the matte finish. I find that it works well with all my other powders such as bronzer and blush and does not disturb the base at all. 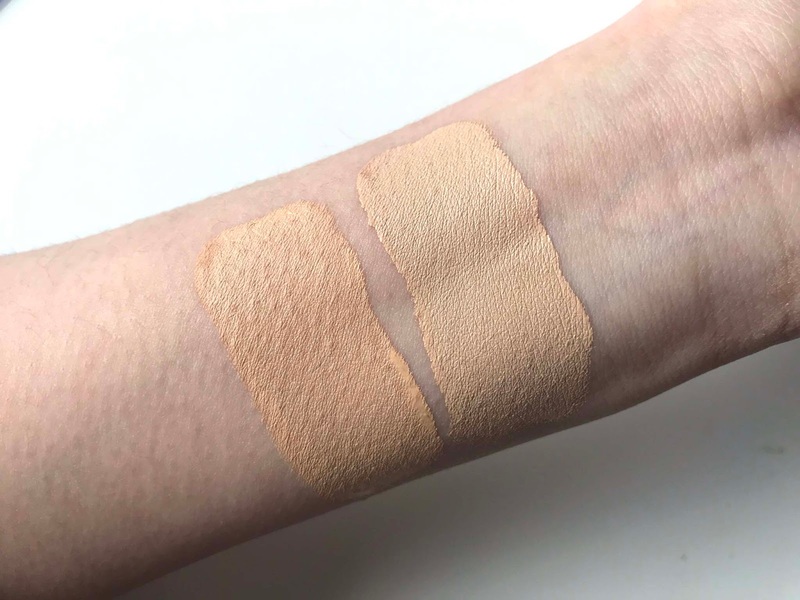 I have noticed that the foundation dries a tiny bit darker and if I apply a concealer beneath the foundation it became more orange so now I further conceal on top which doesn't change the colour. This foundation gives my skin a very full flawless finish but in a healthy skin like way. I don't need to powder at all throughout the day since it controls my oils really well, I start looking glowy at 8-hour wear and the max I've worn this foundation will be 13 hours with it still looking almost perfect. With foundation, I find that it separates around the left side of my nose and this foundation does it the least. I am very impressed with the formula. This foundation is available in 30 shades and claims to last for 24hours without touching up and is suitable for any skin tyPe. It is formulated with 21% pigment and is transfer resistant. The bottle features an innovative airless chamber design that prevents contamination and maintains it's consistency. It is also vegan-friendly and cruelty-free. I picked up this foundation last year when Kat Von D launched in Debenhams and then I wasn't able to use it until now since I got super tanned. I had a perfect match and walked away with shadow 45 Light Warm last summer and I tried getting rematched when I came back of holiday but there was no success so I gave up after going back and forth 3 times. Right now I do find it a tiny bit light but when I bronze, everything blends better. The consistency is very thick. I use one pump to cover my entire face and then a tiny little drop to cover my dark marks and hyperpigmentation. Application wise I much prefer using a sponge since the super matte finish can look drying and it does set really fast. I don't really need to powder because of the finish but I do under my eyes. It claims to have a 24 hour wear time but I start getting oily on my nose and forehead area at the 6-hour mark and I do feel I need to blot since it gets super greasy. Foundation always creases around my nose and this once does it badly, I try pushing the foundation in but because it's settled it doesn't really budge. I've also tried spot concealing with a different brand concealer and it just takes off the foundation. Overall I much prefer the Fenty over the Kat Von D because of the longevity, oil control and skinlike flawless finish that I achieve. The Kat Von D can become cakey if you use too much and having so much difficulty getting a shade match is annoying. They are similar money £26, for Fenty and £27 for Kat Von D. For an every day full coverage foundation I would recommend the Fenty. Hope you found this review helpful! I also have Twitter Giveaway going on so don't forget to check that out!! I've recently switched to cruelty-free skincare products and been trying to find a foundation that's as good as Estee Lauder Double Wear. May try the Fenty Beauty foundation after giving this a read, thanks for the recommendation! I don’t think either of these would work for me ! I’m properly dry skinned ! The Fenty foundation sounds right up my street.